About one in 400 women has the gene abnormalities, which are more common in Eastern European Jewish populations. 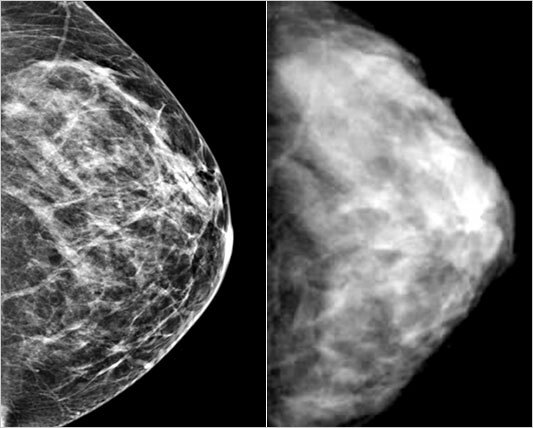 Unlike mammograms, an MRI, or magnetic resonance imaging scan, does not involve radiation. In several European countries including Britain, the Netherlands and Spain, doctors already advise women with BRCA mutations to get MRIs instead of mammograms before age 30. In the U.S., there is no specific advice from a leading task force of government advisers, but the American Cancer Society recommends yearly mammograms and MRIs from age 30 for women with BRCA gene mutations.